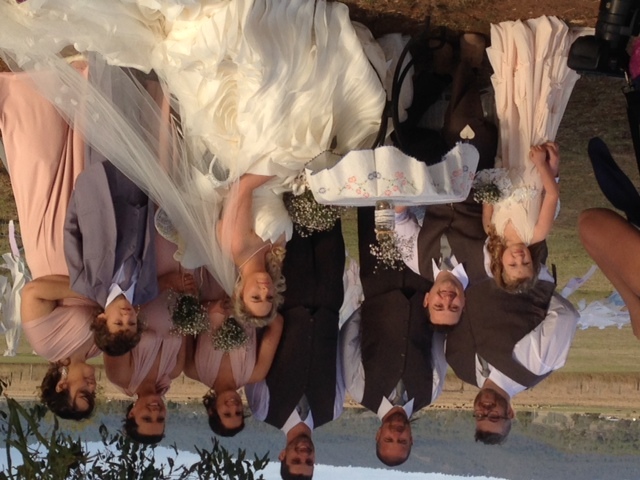 Beautiful country wedding, lovely couple, Alix and Ryan tied the knot at Alix’s Grandparents home. 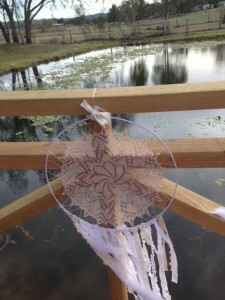 Country theme with muslin covered hay bales for guests to sit on. 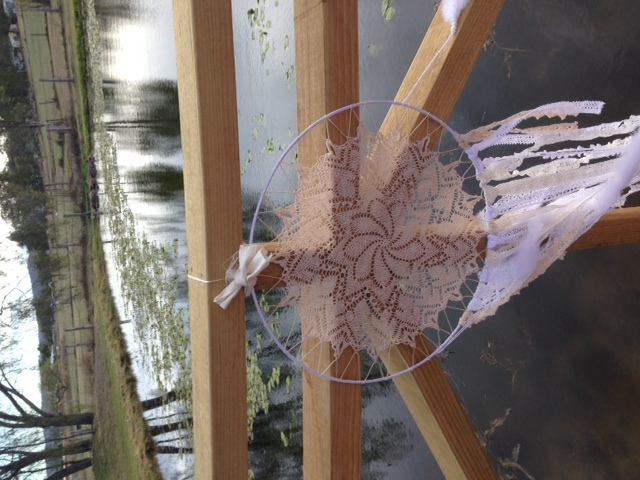 Country chic stylings, with hand made dream catchers, flowers in cream cans hung around the small lake. 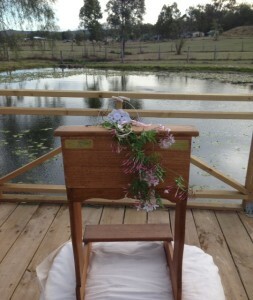 Family lectern with brass engraved plaques noting each family ceremony. Cute blackboard and white hooked metal stands around the lake and new wooden walkway were just some of the many decorations. Charlie the family’s border collie was all dressed up in a tuxedo for the wedding. 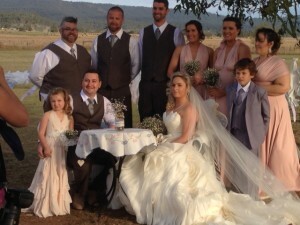 He was gearing up to try and replace the Best Man. 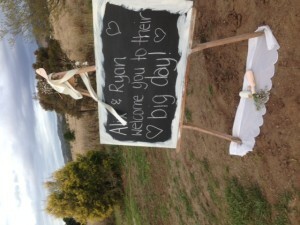 Lots of love to Alix and Ryan.